Here at Modern Storage, we want to honor the brave men and women that serve in our nation’s military. For that reason, every Modern Storage location offers a military storage discount of 50% off your second month’s rent. Find the location nearest you above and call now to secure your spot! 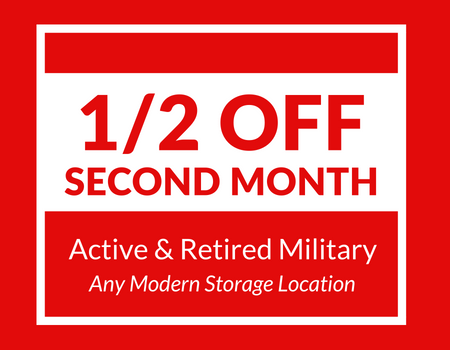 Our military customers can apply this military storage discount to any storage unit size. 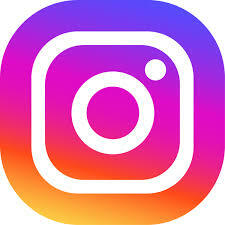 Depending on the Modern Storage location you choose, you can find a storage unit as small as a 4x4 storage locker for $42 per month or as large as a 12x35 storage unit for $275 per month. Beyond the standard storage units that are outdoor, drive-up access, this military storage discount can be applied to our other storage options. If you are storing valuable items, our staff highly recommends renting a climate-controlled storage unit. These units are temperature-controlled, meaning they are heated and cooled between 55 and 85 degrees Fahrenheit inside each storage facility. For military storage customers needing to store a trailer, vehicle, boat, or RV, we have covered and uncovered parking spaces at varying Modern Storage locations. To give you an idea of what you can expect, for example, our Chenal Parkway location has 12x25 and 12x35 spaces for vehicles while our West Markham Street location has 10x18 and 10x25 spaces. Need help deciding how to use your military storage discount? Contact us today for pricing and advice from our storage experts!